Episode 6: Lauren Groff, Delicate Edible Birds | Book Fight! Our first story collection! 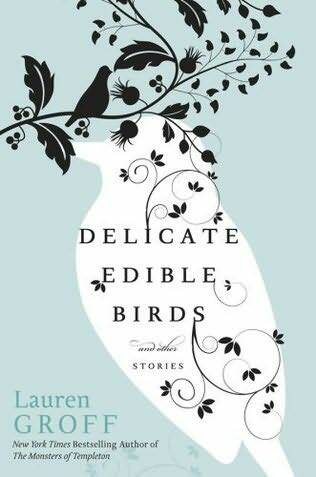 For this episode, we dug into Lauren Groff’s 2009 collection Delicate Edible Birds . Groff’s a writer who’s been getting a lot of positive buzz, both for her stories and her new novel, Arcadia . We chose the story collection in part because we’re both advocates for short stories, and often wonder why they tend to be such a tough sell for the reading public. It’s a question we try to tackle in the episode, both of us offering up some potential theories. Other topics for discussion include: the potential anxiety of reading work by your contemporaries, narrative complexity in stories, and the drinking habits of Manayunk residents. As always, we’d love to hear your feedback. You can email us at bookfightpod(at)gmail(dot)com, or by clicking on the tab at the top of this page and filling out the handy online form. If you like the show, please take a moment to review it on iTunes, and more importantly, pass it along to your book-loving friends. Categories: Episodes | Tags: anxiety, baton twirling, complicated stories, story collections | Permalink.